If you do not have a functional understanding of TCP/IP and wireless networking, please STOP NOW. Call that friend, coworker, family member, or geek down the road, that works part-time at your local computer store, and ask them to help you out. 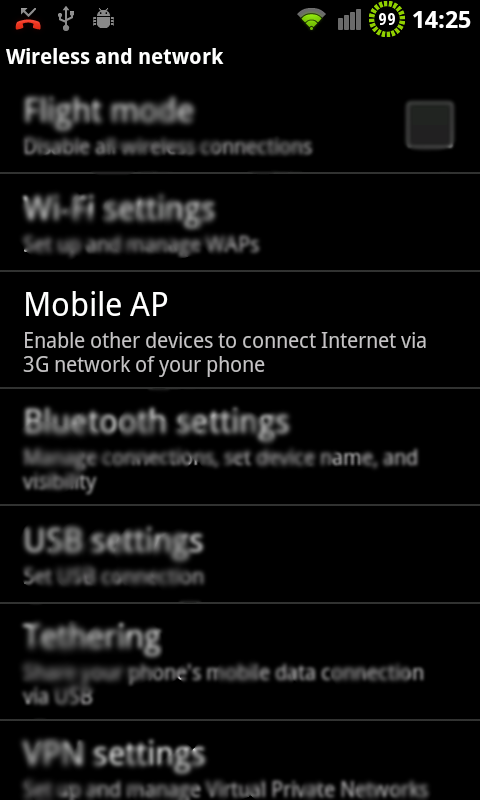 I do not use or support any third party applications that attempt to make your phone act like an Access Point or adhoc network provider. 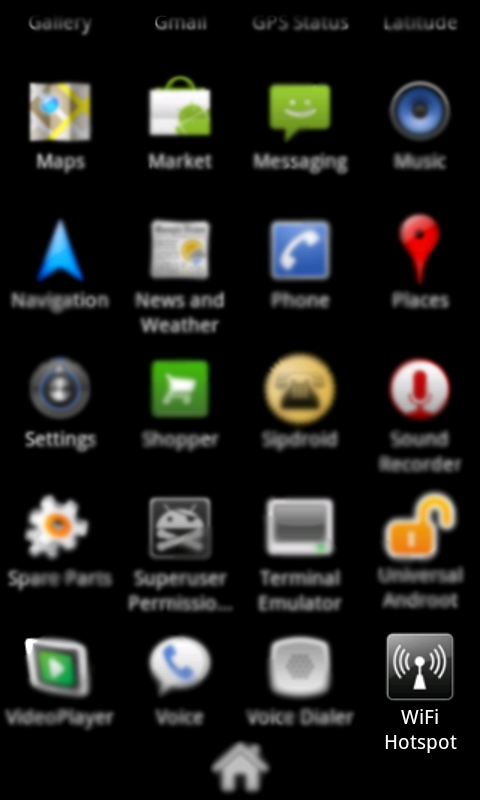 I also do not know how to adhoc enable everybody's phone -- although I know that it's possible for just about every Android device out there. I've provided a couple links in other blog entries that should help in pointing people in the right direction. There are simply too many variations out there for me to support any one of them. I have received a lot of reports of people having a hard time getting AR.Assist to "do its thing". Rather than spend a whole lot of time attempting to support an application that I don't have any particular interest in I thought it best to post a manual procedure stepping people through how to Infrastructure Wi-Fi Enable their drone's manually. 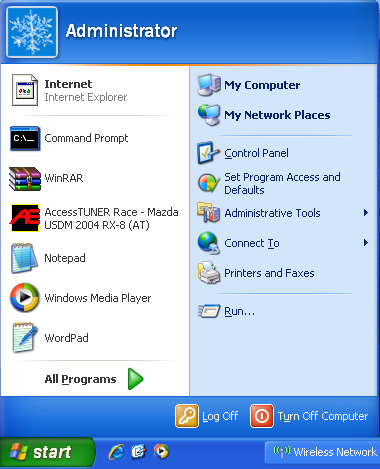 This walk-through assumes you have an XP computer, but the concepts can be easily applied to Vista and Windows 7. 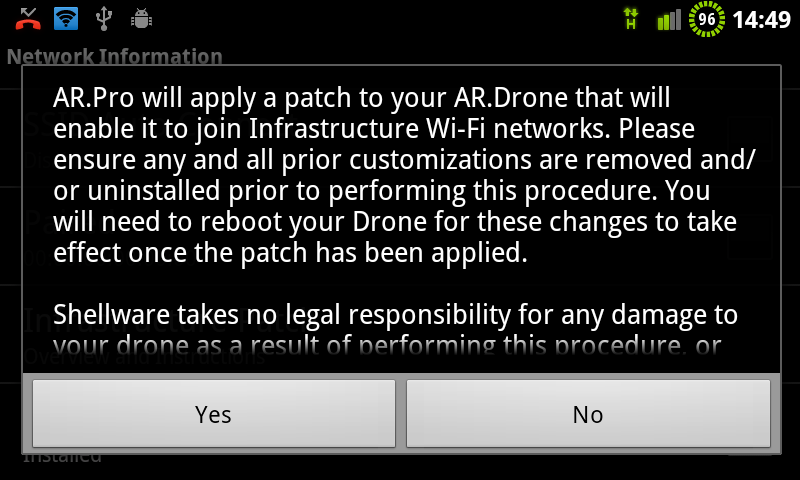 Before proceeding, please have at least firmware 1.4.7 installed on your AR.Drone. 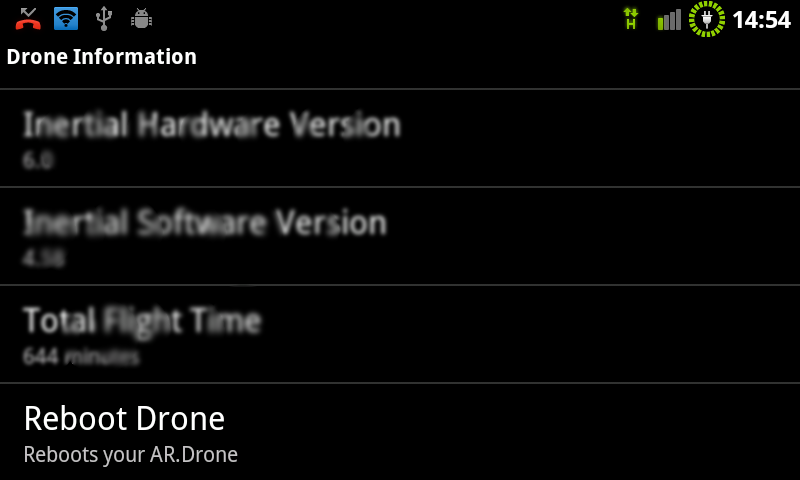 If you need more information on upgrading the firmware on your AR.Drone, please have a look at the automated AR.Pro firmware update procedure. The first step is going to vary from device to device, but it's basically the same for all -- whether it's a software based Hotspot embedded in your Android phone, or an actual Wireless Access Point / Wireless Router. We need to establish some basic rules for the Wireless network that we want our AR.Drone to connect to. Disable all security. This is typically referred to as "Open" or "None"
Do not hide your device, ignore ping, enable firewalls, or anything else that may complicate the process. Once your Access Point is configured (and active) set it to the side for a moment and turn your attention to your Windows session. 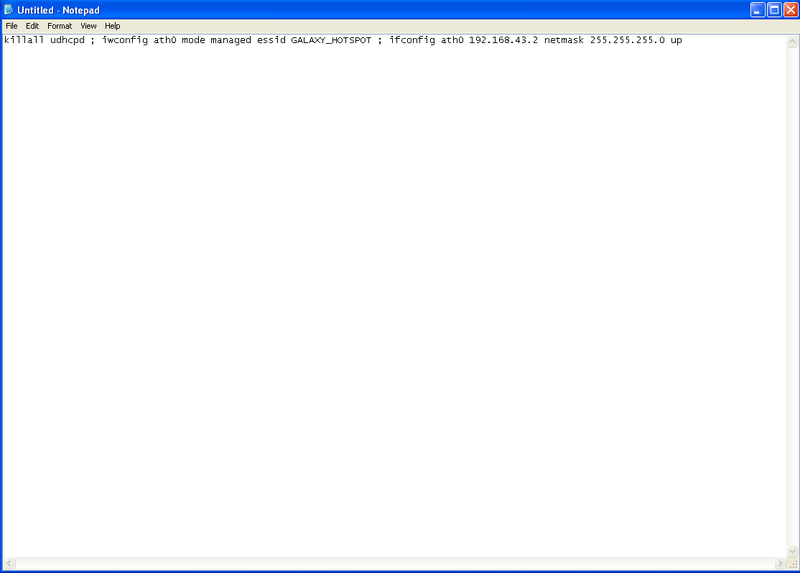 Open up your Wireless Networking settings. 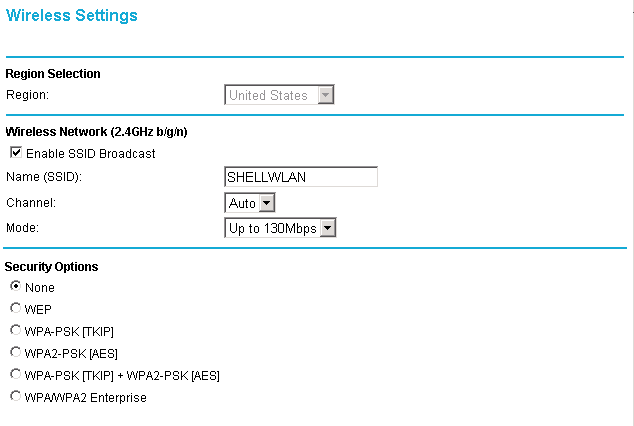 Select your newly configured Wireless Access Point / Hotspot and connect to it. 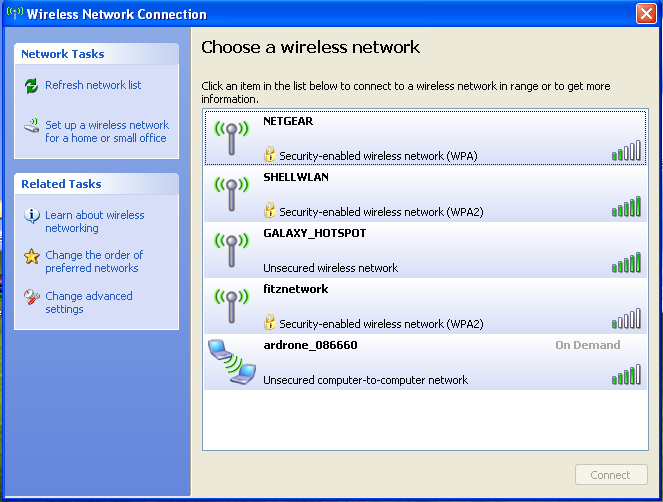 Once connected you need to open up a Command Window to verify the network your hotspot / access point supplies. You can get to this by clicking your Start button, selecting Run, and typing cmd. 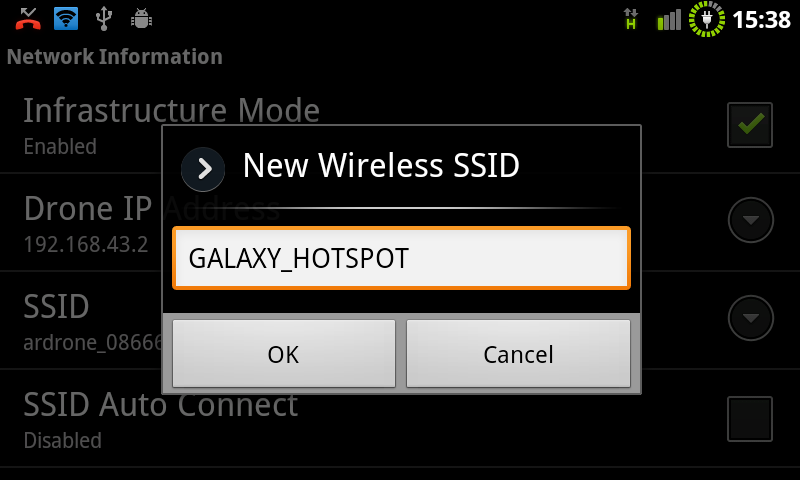 Replace HOTSPOT_NAME_HERE with the name you provided (and subsequently connected to) for your Access Point / Hotspot. 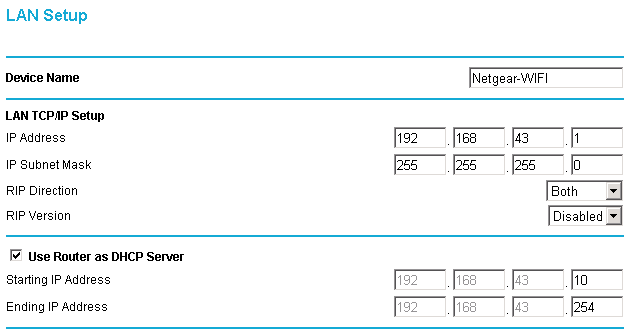 Replace FIRST.THREE.NUMBERS with the first three octets (the first three numeric dotted sections of the IP Address you got from IPCONFIG) of your computer's IP Address while it was connected to your Access Point / Hotspot. If your IP Address was 192.168.43.15 you would use the value 192.168.43 The complete IP Address would then be 192.168.43.2 Don't forget the last octet (2). Now we're going to move on to your AR.Drone. Power it up, if you haven't already, and connect to its adhoc network with your Windows computer. Go back to your Command window, or open a new one, and telnet into your AR.Drone. 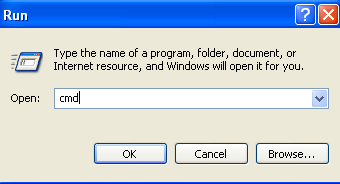 If you are using a Windows Vista or 7 computer you will need to first enable the Telnet Client by going into Add Windows Features through Control Panel and selecting it. 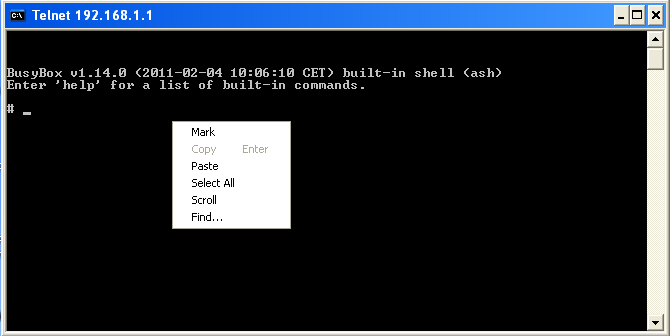 Now select the entire modified string of commands you modified in Notepad and copy/paste them into the telnet session you just opened. 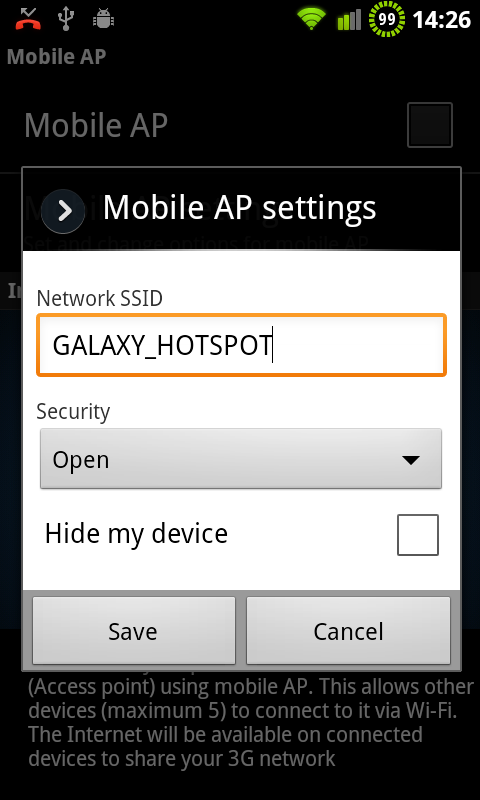 Select SSID and provide the SSID you gave for your Access Point / Hotspot. Reconfirm your drone's IP Address. This step is critical as it stores the actual IP Address for your drone in your drone's memory. 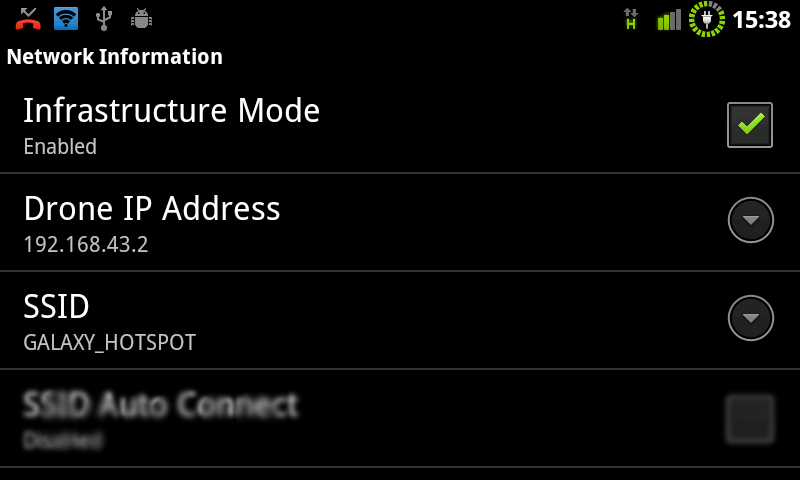 Tap Drone IP Address, then press the OK button to close the dialog. Now, select Infrastructure Mode and you're all but complete. 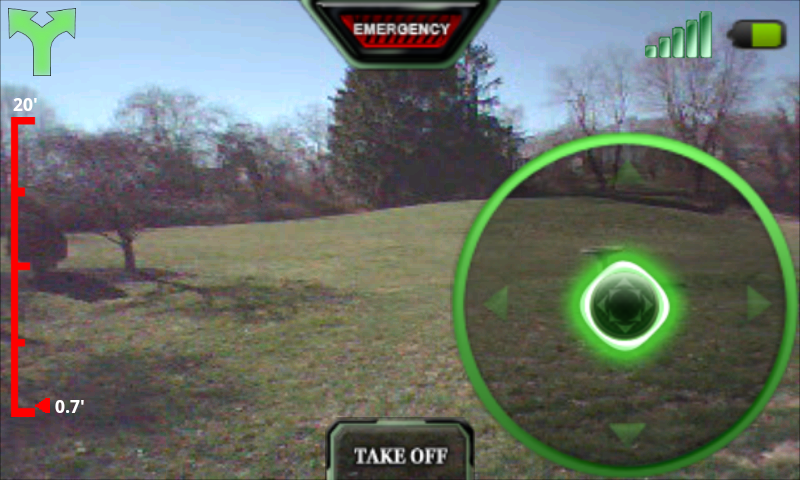 You can now use AR.Pro's Reboot Drone option (located in Drone Information) to remotely reboot your drone. 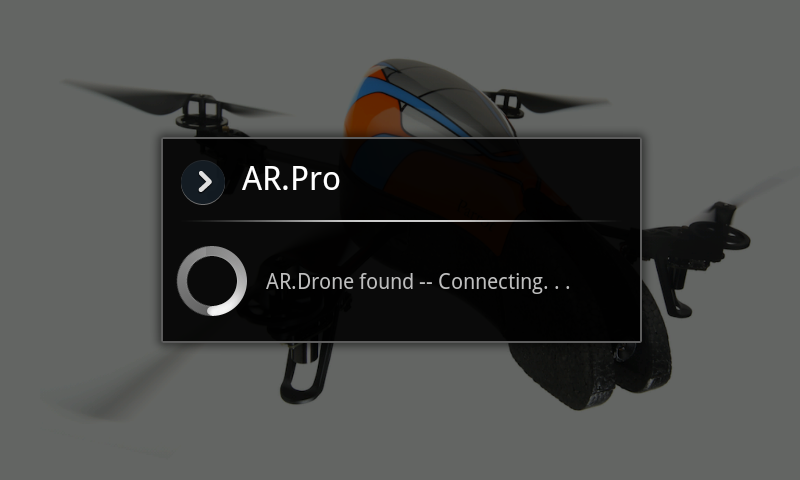 Go back to AR.Pro's main user interface and wait for your drone to boot back up and rejoin the Infrastructure network automatically. The only then left to do is go fly!